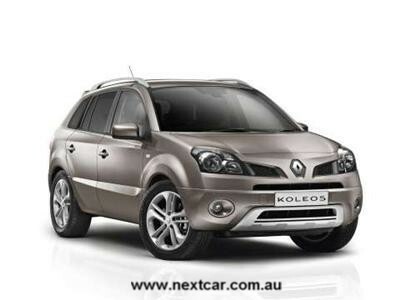 Renault Australia has announced the release of the 2010 specification Renault Koleos. Now coming with Integrated Satellite Navigation standard across the range ... and more! Of course, with Renault’s concentration on safety, Koleos is one of the 12 Renault models worldwide to be awarded a 5 star Euro NCap safety rating. It is fitted with front, lateral and side curtain airbags, and naturally it comes with a full range of accident avoidance equipment including Electronic Stability Programme, Antilock Braking, Emergency Brake Assist and Traction Control, to name just a few. Its superb comfort and interior space levels combined with its robust exterior styling and genuine off-road ability make Koleos a leader in its class. And now with even more improvements in its specification, Koleos leaves its rivals even further behind. Both models of Koleos, Dynamique and Privilege already featured standard equipment such as dual zone climate control, MP3 compatible CD/stereo radio, electrically heated and folding door mirrors, rear sun blinds, 'child minder' mirror, roof rails and automatic lights and wipers, with the Privilege also including the Renault hands free card, front and rear parking sensors and the state of the art Bose 8 speaker sound system. Features in the 4x4 versions also already include Hill Descent Control and Hill Start Assist. With this list of standard equipment, plus the additional equipment in the 2010 version, Renault Koleos sets a standard that rivals can only offer as extra cost options. The additional equipment for 2010 includes integrated satellite navigation, integrated Bluetooth, a multimedia input with either RCA or USB type connection options, new metallic colours, a new spoiler on the tailgate and new alloy wheels for the Privilege model. The Privilege is also offered with new charcoal finish leather upholstery. Renault Koleos continues with its powertrain combinations of 2.5 litre petrol engine teamed with 6 speed manual or the advanced CVT auto transmission, or 2 litre diesel engine, with 6 speed manual or 6 speed auto transmissions. The 2.5 litre petrol engine develops a impressive 126 kW of power at 6,000 rpm, and 226 Nm torque at 4,400 rpm, while the diesel produces 127 kW power at 3,750 rpm (manual transmission), 110 kW at 4,000 rpm (automatic transmission) and a whopping 360 Nm torque at 2,000 rpm. 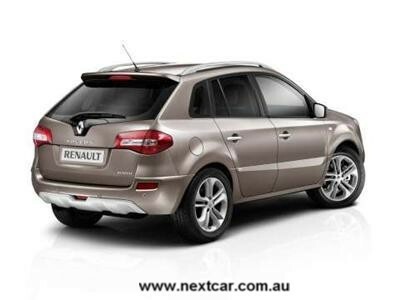 The 2010 model Renault Koleos is now available across the nation. Just as the new model was announced, Next Car was road testing the MY09 Koleos. 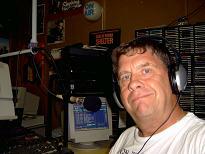 Look for our road test in coming days.